I didn’t know what frogging was until recently. Over the years I have unravelled many pieces of knitting but I had no idea that this was called “frogging” I just thought it was unravelling. I suppose there are many words for it but “frogging” was new to me. One of the blogs I follow had made mention of frogging some knitting she was doing and I had to check out the definition for myself. If you make a mistake in your knitting and don’t notice it for several rows, the best course of action for fixing it is to remove the work from the needle and simply rip out the rows you have completed since you made the mistake. This process is known as frogging because you have to just “rip it” and move on. It’s not much fun to have to frog your projects, but you’ll be glad you did rather than leaving in a mistake you could have fixed. Frogging is also the term used when you rip out a whole project and start over, either because you were knitting the wrong size, decided you didn’t like the pattern, or for some other reason. 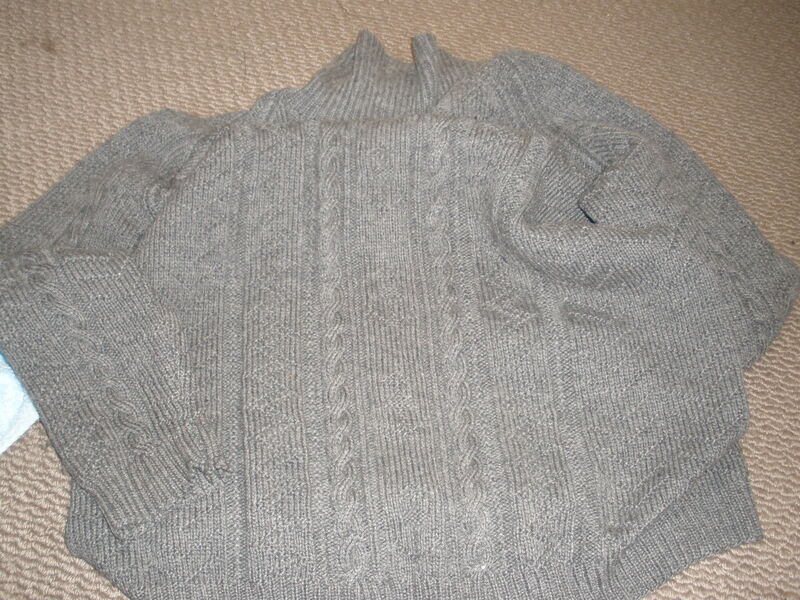 I have just “frogged” a jumper I knitted many, many years ago. The jumper was originally for my husband but my daughters ended up wearing the jumper more that he did. The jumper is now about to have a new lease of life as a blanket. I have unravelled or frogged it, all but the sleeves to do, and now have several balls of wool which I will wash to eliminate the stitch memory of the wool. Once the wool is ready for use I will purchase some yellow wool to go with the grey and I am going to make a chevron lap blanket from the old jumper. All of the designs on the sweater are Scottish, mainly from the Kingdom of Fife where I used to live. Can you see the anchors between the two rows of cable? Now I need to find a pattern for a chevron blanket. I haven’t decided whether I will knit or crochet it. 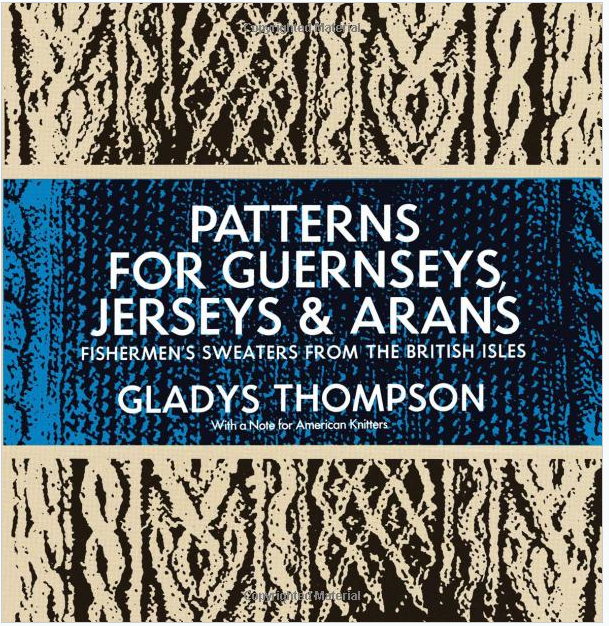 This entry was posted in books, Fife, Gippsland, knitting, patterns, Scotland and tagged anchors, cables, Fife fishermen's jumper, frogging, Gladys Thompson, kingdom of fife, knitting, knitting patterns, marriage lines, Patterns for Guernseys Jerseys and Arans, recycling wool, Scottish patterns, unravelling by suth2. Bookmark the permalink. 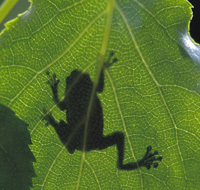 I’m the same, I only came across frogging when I joined Ravelry! I have learnt so much from Ravelry. It is an awesome site. Thank you for your comment. I have had the book for many, many years but it is a long time since I last used it. 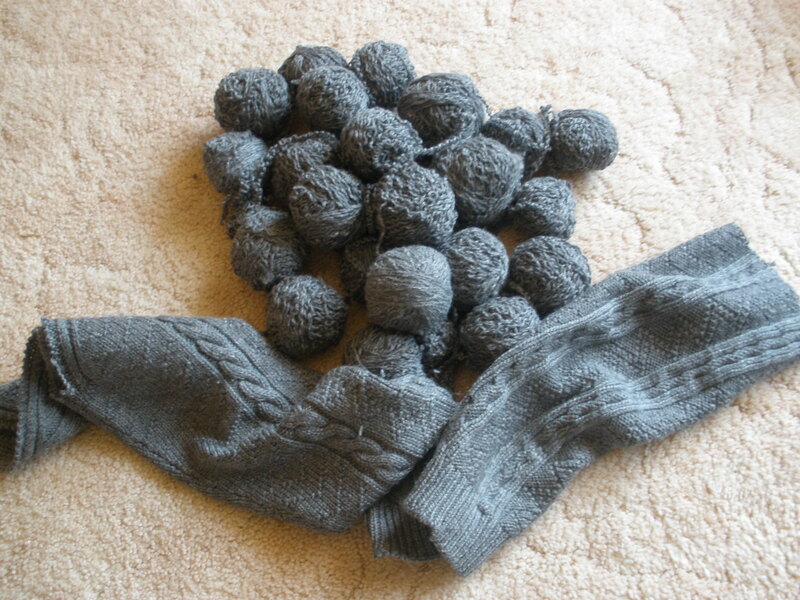 I think I was more adventurous in my knitting when I was younger. Great recycling! I’ll look forward to seeing your chevron blanket. I am making an assumption here that I am many years older than you so there would have been no chance of me playing hockey against you if you were a hockey player. 🙂 I used to play hockey for Bell Baxter High in Cupar and we often played against Kirkcaldy. Our family also used to go to the Lammas Fair in Kirkcaldy. Not sure if that is the correct spelling for Lammas. I don’t want to break your user’s policy as I have just started to follow your blog. I love the anchors! I didn’t know about frogging until I read this post, or indeed ‘stitch memory’ which is quite a spooky thought. I’m looking forward to seeing the blanket. What beautiful work. I love yellow and grey as a colour combination.I’m always so amazed at your productivity. I once knitted a hand spun fisherman knit jumper for John, but I didn’t realize I got the pattern wrong until about half way up the front. 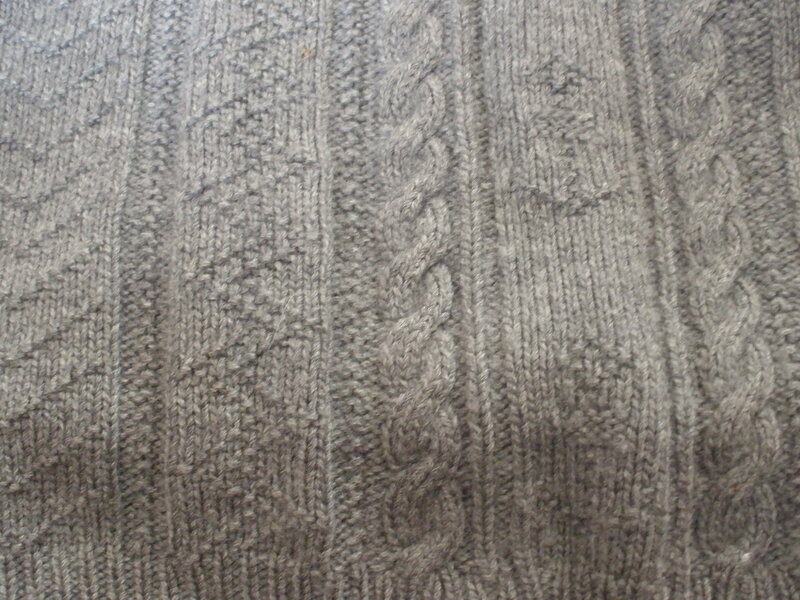 Anyhow I knitted the jumper with the mistake in the pattern as I am not really a knitter rather than “frog” it. It turned out ok .
I’m sure John would have loved it for the fact that you had taken the time to knit the jumper for him.